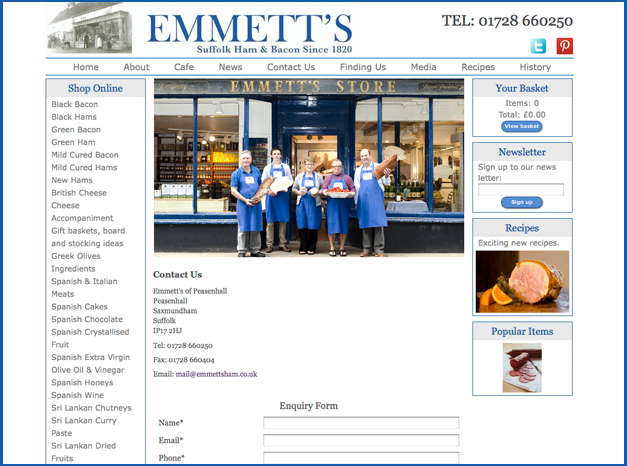 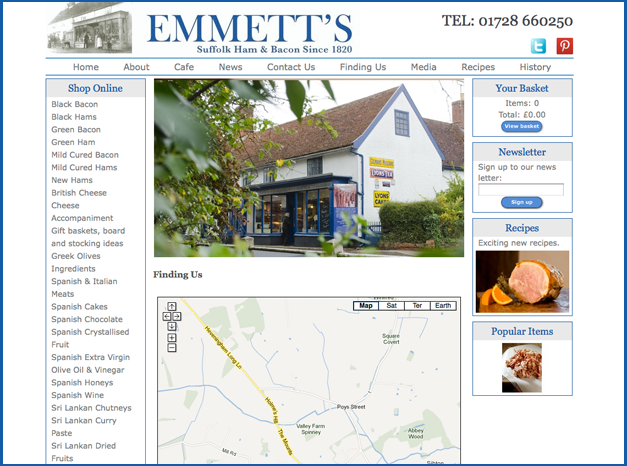 We were thrilled when Emmett’s came to us to ask for help building their online shop as it gave us a perfect opportunity to head over to the smokery and cafe. 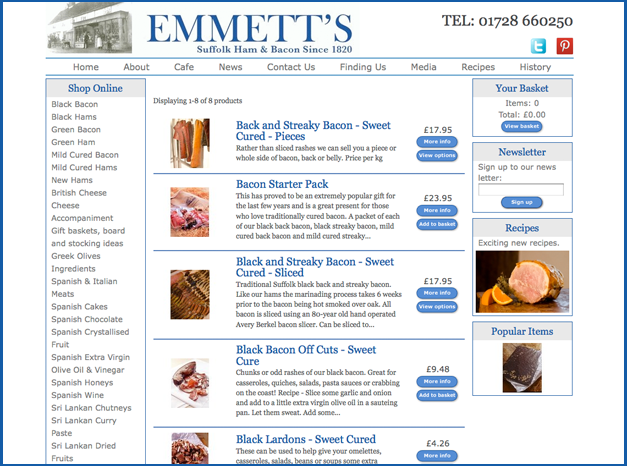 A more demanding website was required here, creating an online shop where customers could buy all of there products from the comfort of their home, whether it was smoked hams or some of their fine wines. 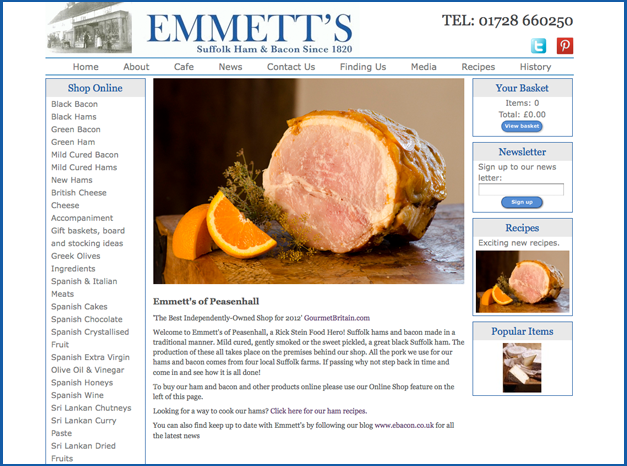 To accompany the site, we also built a blog site that fed through to the shop so that customers could be kept up to date on all the latest events, recipes and products.